Responding to the call for action, people from around the country have raised their voices against police torture and sent postcards to Soni Sori, expressing their solidarity with her in her brave fight for justice. Over the past year, Soni’s fight has become a symbol for thousands of mistreated women prisoners around the country. 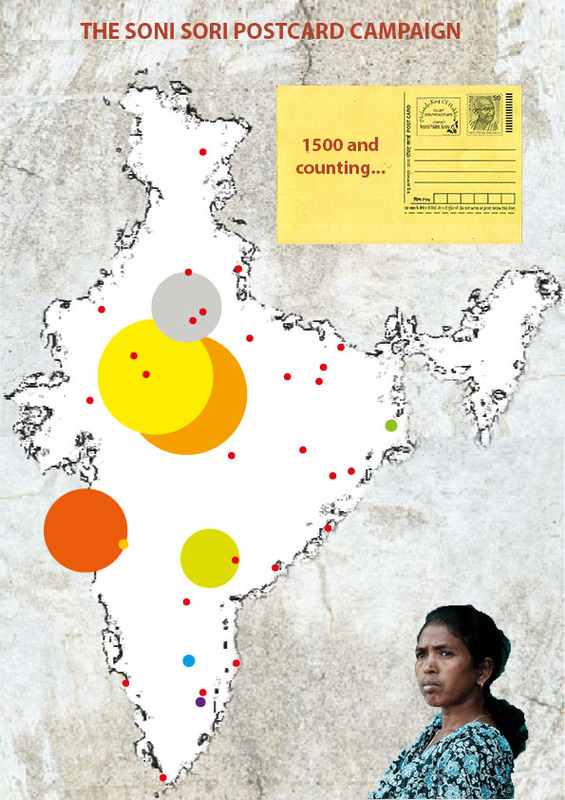 With over 1500 postcards sent, support for her cause is growing … Let us remind ourselves that Soni Sori is not the first, and certainly not the last, innocent adivasi woman to be falsely accused and tortured. It is therefore time for us to stand up against torture, sexual violence and state repression!